and that means it’s time for a Sketch! I have a nice an simple one for you to try this week! This is attempt two for my Sketch this week, thank goodness I am on break from work! however it is retired. Sorry! The DP I have had so long and I can’t remember whose it is as my piece is getting so small. The leaf stamp is from Stampin UP in the Summer Silhouettes set along with the card stock. My sentiment is from Verve from the Poppy Birthday. Categories: Cards | Tags: Card making, Cards, Gina K designs, rubber stamps, sketch challenge, stamping, Thinking of you, Verve Stamps | Permalink. Beautiful card, Nancy! Love the fresh colors and your sketch is divine!! Loved working with it! You know how I feel about this card…..absolutely beautiful! 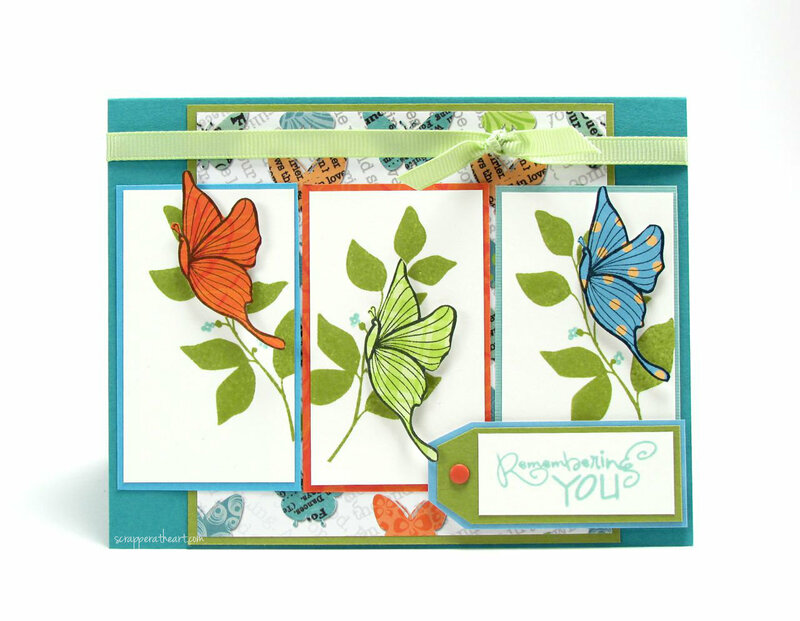 Love the colors, papers, leaves and those gorgeous butterflies! You hit this one out of the park, my friend! Nancy, your card is beautiful! Those paper pieced butterflies are so pretty with the leafy branches. 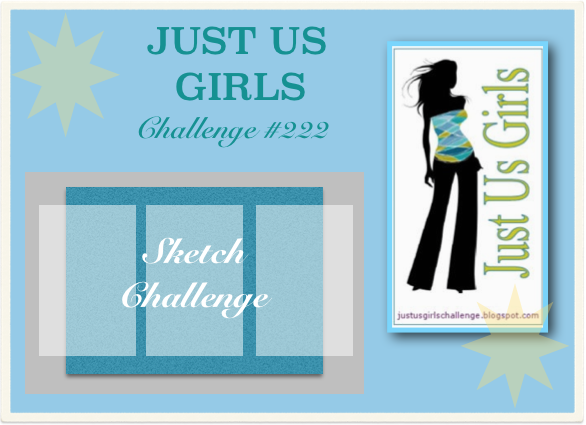 Great choice on this sketch challenge. Very pretty. Love the butterfly and the different colors. Soooo PRETTY! Love the paper pieced butterflies and that butterfly background! Well done! Ahhhh another breath of spring with your card, Nance! Beautiful! You are lucky to be in sunny Florida- I am looking out my studio window at 10 inches of snow! Those butterflies are gorgeous, Nancy, and the whole card is so cheery. Wonderful job with this beautiful sketch. The colors are so pretty and fresh. This is beautiful! Love those butterflies and the pattern paper in the background! This is so pretty Nancy! I love the colors you chose and the images! Great sketch! Absolutely LOVE that Beautiful butterfly and I get to see it three times!!! FAB colors too! Great sketch interpretation!